It prevents burning of useful manure. It furnishes stabilised, recyclable and excellent organic manure from nightsoil and urine. It provides convenient, pollution free and useful burnable gas as fuel. When burnt for illumination it affrods mild and white light. 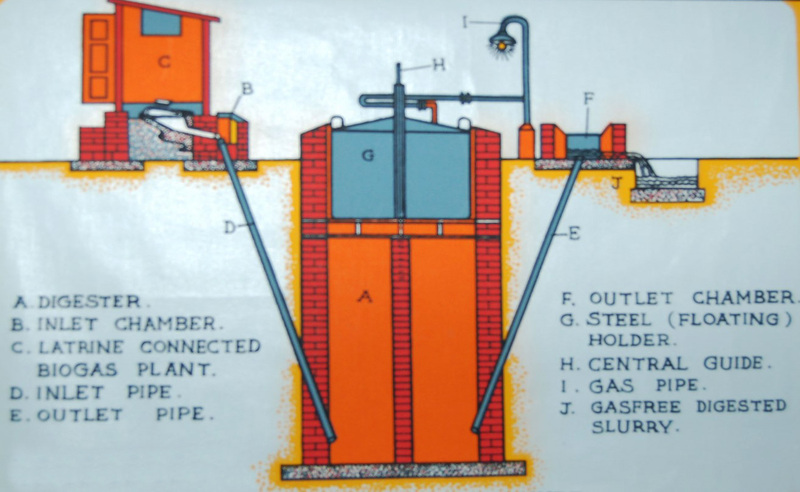 Biogas can be used to run mechanical engines or electrical generators. It prevents nuisance of houseflies and mosquitoes. The digested matter coming out does not support them. No flies No Dieases. 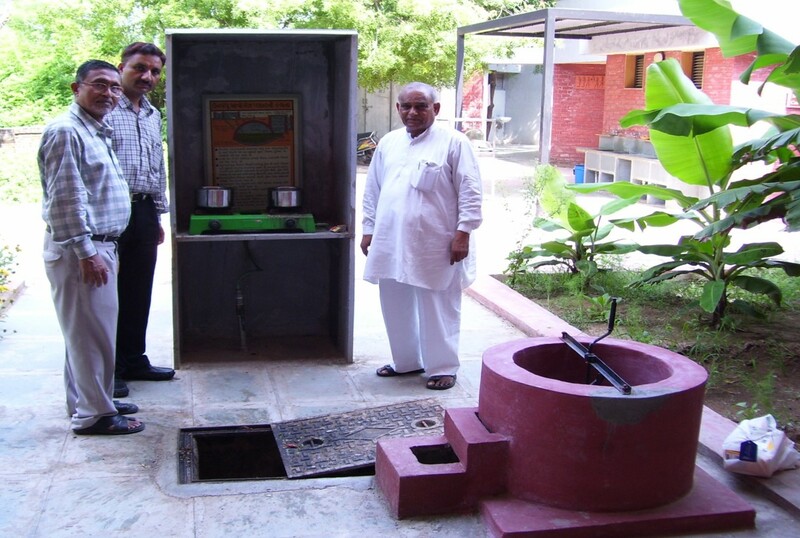 Latrine connected to a biogas plant does not need the practice of scavengers – A long cherised grandiose dream of Mahatma Gandhi. The pay back period of investment is 3-4 years, thereafter the returns are severalfolds. It prevents deforestation indirectly, as the problem of fuel is solved by biogas. It would lead to adequate rains for agriculture. Use of stabilised Nightsoil as Manure prevens growth of weeds and promotes desired agriculture. Smokeless biogas affords protection to eyes of Womenfolk in Kitchen. Utencils and Paints of building are prevented from attack by smoke of firewood.